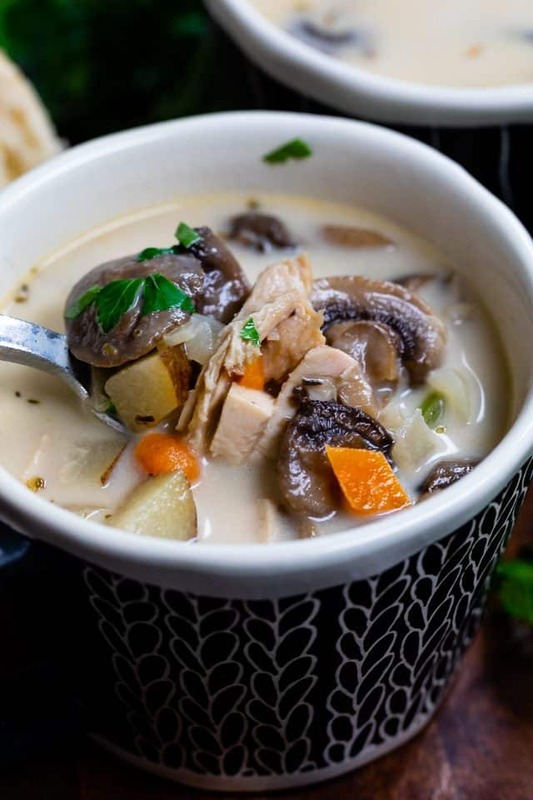 This easy Chicken Mushroom Soup is a 30 minute meal perfect for dinner! 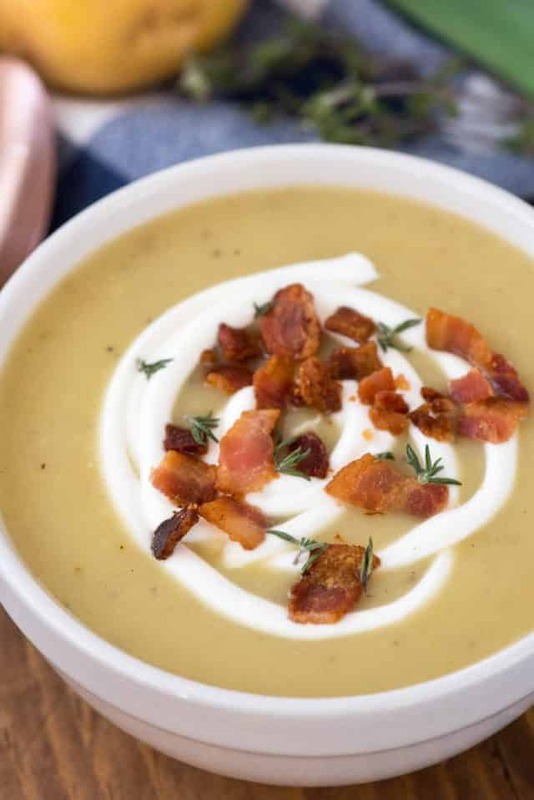 It’s a creamy soup that’s lower in fat and full of flavor. One of my favorite things about winter is that it’s soup weather. We love making soup at least once a week for dinner, but here in California our soup season is short: by April it’s getting too warm to make soup on a regular basis. Luckily for me the internet doesn’t just live in California: most of you reading this will get snow through spring break! I love making homemade soup that is full of flavor but doesn’t take all day. I’m a 30 minute meal girl at heart so if I can make a soup in 30 minutes that’s so good you won’t miss spending all day making it, then I know I have a good recipe on my hands. 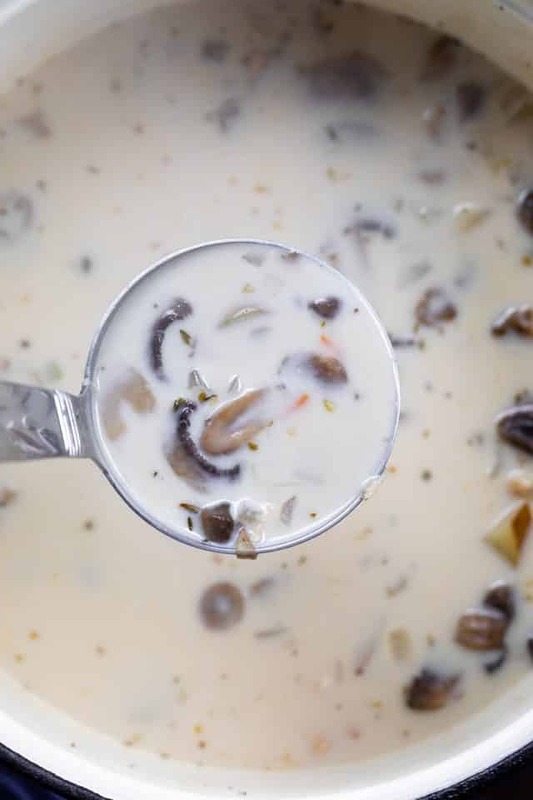 This easy Chicken Mushroom Soup is a creamy 30 minute meal that I threw together with what I had in my refrigerator. It’s that simple to make! The best part about this soup is it’s great for leftovers: I made some of my oven baked chicken and had a couple of breasts left over that went into this soup. Using leftover chicken makes it easy, extra flavorful, and come together in minutes. I’m not a huge fan of basic chicken soup, so jazzing it up with mushrooms and cream is perfect for me. 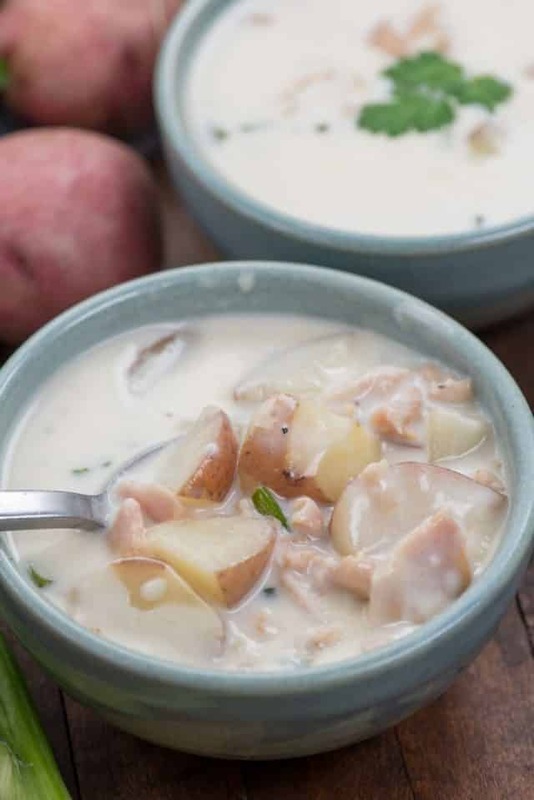 In fact, if I could have creamy clam chowder or rich soups like that every day in winter I’d be a happy girl. 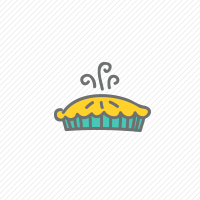 However, no one can eat that way all the time – especially when summer bodies are made in winter. 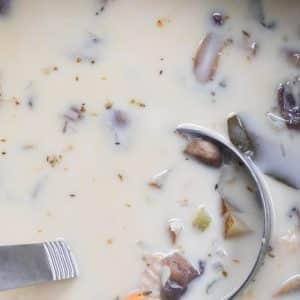 I managed to make this creamy chicken mushroom soup without cream and it still tasted amazing. Soup, for me, is all about depth of flavor. Each layer of the soup from start to finish needs good seasoning so that, all together, the flavors work. I didn’t use rice or noodles. Instead, I just added one potato for a bit of starch but without all the calories from rice. Instead of heavy cream, I used half and half. It’s not thick like a chowder, but the flavor is all there. Use chicken stock if you can find it. Broth is okay, but I prefer stock for it’s deeper flavor. And quality matters: even if you’re using broth spring for one that’s a bit more expensive. I absolutely love Trader Joe’s or Kitchen Basics low-sodium. Don’t skimp on seasonings: season every layer from the vegetables to the broth. Start every soup with a mixture of onion, celery, carrot, and garlic. I love the flavors that fresh ingredients give. Now, if you’re starting with raw chicken, check the notes section of the recipe. I give instructions for starting from scratch there! This easy 30 minute Chicken Mushroom Soup is the perfect winter meal, cozy and warm and a little bit on the healthier side too! This easy Chicken Mushroom Soup is a 30 minute meal perfect for dinner! It's creamy and lower in fat and full of flavor. Heat oil over medium high heat in a large pot or dutch oven. Add onion, celery, carrot, potato to the pan, then sprinkle with the salt, pepper, oregano and thyme. Stir to coat. Cook about 5 minutes, stirring often. Add the garlic, stir, and cook one minute more. Add the mushrooms to the pot and stir, cook for 2 minutes. Add the bay leaf and chicken stock to the pot. Stir and cover; bring to a boil and cook until the potatoes are cooked through (about 5-10 minutes). Once the potatoes are fork tender, add the chicken and half and half to the pot. Stir and cook, until the soup is hot once more. Serve hot with a garnish of parsley. 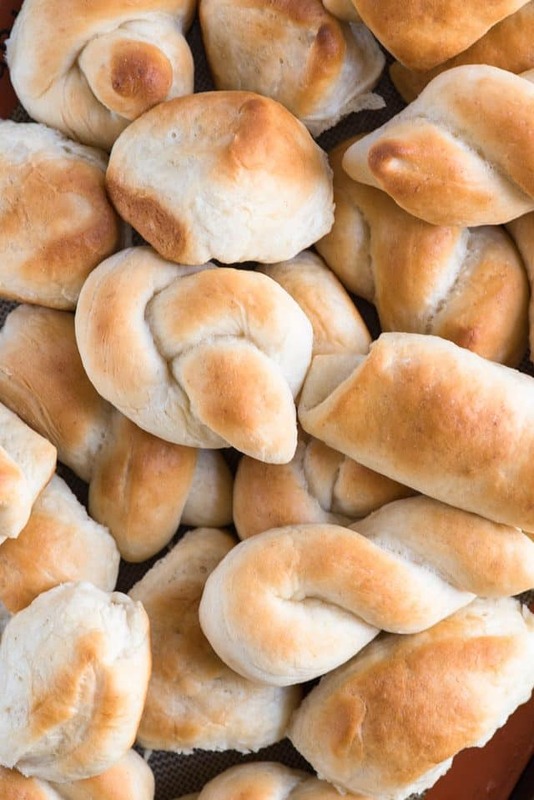 If you want to make this with raw chicken: slice chicken into small bite-sized pieces. Heat 1 tablespoon of olive oil in soup pot and cook chicken until brown on all sides. Remove from heat and make the recipe as desired, adding the chicken back once the soup is boiling. Cook until chicken is cooked through and potatoes are done, then add the half and half. This looks so good, but I am vegetarian and wondering if it will still be good without chicken? 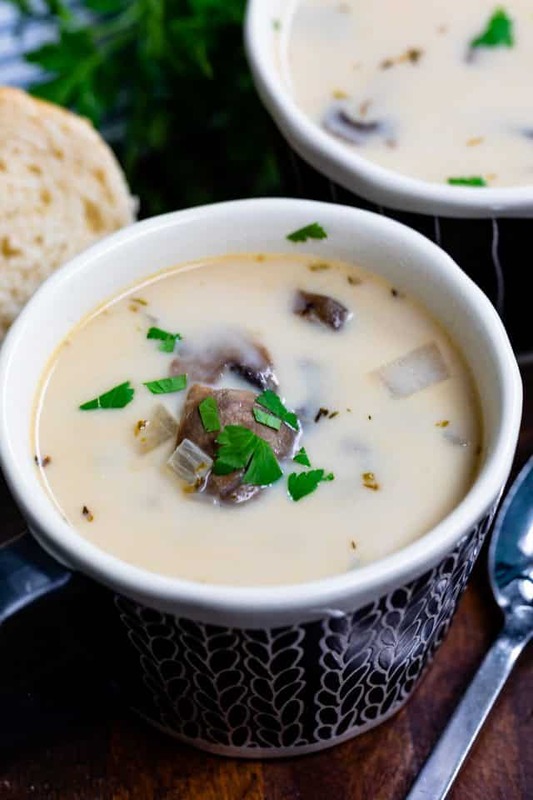 I love mushrooms so a creamy mushroom soup with veggies sounds perfect. I have mushroom stock and find that veggie stock can be bland. Do you think veggie modifications could still taste good with this recipe? Thanks!